Did I ever tell you that the Canon EF 200-400 f/4L IS Lens is really sharp? My daughter and I had one evening and one morning to photograph deer in Shenandoah National Park. The evening presented us with primarily darkness including dense fog and light rain (and wind), but the morning proved much nicer. This decent-sized 7pt buck tending a doe amidst the short red saplings in Big Meadows was a grand find on this morning. We worked around the deer to get the morning sun at our backs and, as best as we could, stayed within ideal photo range of it for over an hour. 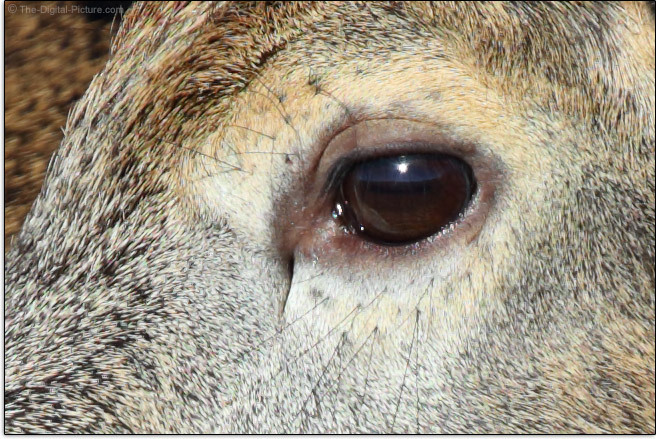 The buck was very attentive to the doe and gave us some nice behavior images. 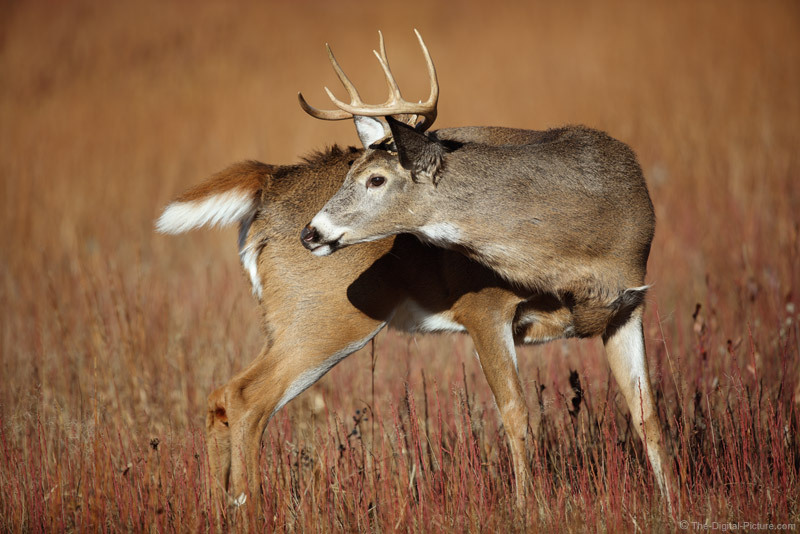 In this image, the buck had been cleaning its back (see the ruffled fur?) and stopped to look at the doe. This image was captured at 400mm with a wide open f/4 aperture (to create as much background blur as possible). The RAW image was processed in DPP 4 using the Standard Picture Style with sharpness reduced to only "1". While the camera is extremely sharp, its resolution is unforgiving to lens quality. The 200-400 L is definitely 5Ds R-ready. It is simply a very impressive lens.